Hype is one of the worst promotional tactics out there yet it is one of the most common and overused strategies. Look at This Awesome Opportunity! Get In Here! 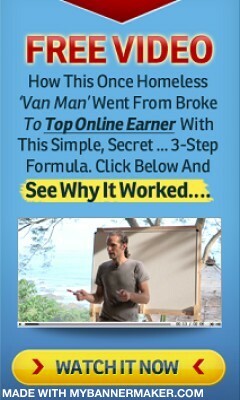 Check out This Amazing Product and How It Will Make You Money Fast! 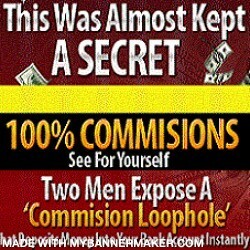 Join the Best Network Marketing System to Have Ever Been Created Now! Sign Up Now and Get Easy, Instant Cash Within 7 Days! Shouting at others to get their attention and promising less than realistic results is not only unprofessional, tactless and damaging to your reputation, but it flat out does not work in any way, shape or form. If you look in the internet network marketing groups on Facebook, you will notice that there is a sea of endless pitching. Look even closer and there are no likes, shares or comments at all for any of these types of posts. They are all completely jacked up through over the top usage of hype. Ask yourself this, do you actually stop and read all of those posts? When people are overexposed to a ridiculous phenomenon such as hype for a length of time, it’s only natural that people learn to tune out these types of posts and advertisements. So it’s not surprising that these posts go unnoticed at all. People like to buy, but no one likes being sold to. If you want people to buy from you, you’ve got to let them know what’s in it for them! This may sound counter intuitive, but when wording your copy, don’t try to convince people to look so you can benefit from the click or join your team so you can get to the next stage of the comp plan. People buy for their own selfish reasons, not yours so you have to identify why they would need your product in the first place, and how it will benefit them. How does joining your company, or buying your product help them improve their lives? And don’t say it’s because your company has the best comp plan, product, or “so many people are making money with it”. Everyone is saying that. Be the one that stands out and tell the truth. So when writing an ad for your business opportunity, focus on the benefits that come with them joining, not the features. Your prospect could care less about the product, the comp plan or the company name itself. They only care about the benefits that come with it. Like the ability to be their own boss, travel the world anytime they want, being wealthy, being the envy of their family and friends, affording fancy expensive cars, and so on and so forth. Nobody cares if your product is no.1 in its category. That doesn’t exactly help them at all does it? Sell the dream, or the end goal in mind to the prospect. Getting them to imagine and picture themselves at the end goal is extremely powerful. It makes them believe that they can do it and it’s possible for them. People won’t do something if they think it’s out of their reach. So when wording your business opportunity pitch, don’t become a typical sale person and try to hard sell them into submission (doesn’t usually work anyway), give them reasons why, what’s in it for them. Share, invite or get them to take a look at what you do. Make it friendly and conversational. Another way is, you can offer value upfront, and get them to come to you. This is called attraction marketing and is the concept that has created thousands of successful online entrepreneurs. You focus on helping people with their problems first, and when they know, like and trust you, that’s when you get them to take a look at your product or opportunity. Not only does having a relationship with your prospects before pitching them make them more likely to buy from you, it’s pretty much the only way to do business online now. Provide solutions to your prospects problems, and they will gladly do business with you. What do you think about people who hardsell their opportunity? Leave a comment below and share this post if you found it helpful. P.S. If you want to learn how to sponsor people effortlessly into your business, go here to find out how. Tina – A really good article. I really agree with you – too many people overpromise, oversell, and underperform. People don’t need to rely on hype and lies to be successful if they just give themselves the chance to show others their inner qualities, which enables more sign ups and sales. All about attraction marketing after all.